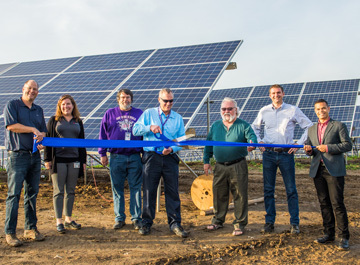 Community solar gardens (CSGs) offer a wide array of benefits that include bringing renewable energy to businesses, residents and municipalities that have interest but don’t have the resources to implement on-site solar. Whether you’re interested in hosting a CSG or looking for a subscription plan that fits your needs, we are here to assist your move into solar. Our solar subscription rates offer 25-year savings of $5K– $1M. And with the new value of solar bill credit, savings are guaranteed, with no risk to subscribers. IPS Solar takes on the long-term maintenance and management of the array as well as the operational risk. Eichten’s Hidden Acres, a family-owned cheese and buffalo ranch, is home to more than 15,000 solar panels, powering its farm and community. A smooth development process made this an easy decision for an organization committed to energy efficiency and healthy farming. Eichten’s leases the land to IPS Solar, who partners with local subscribers made up of businesses and the nearby school district. Innovative Power Systems, Inc. (IPS Solar) helps organizations and homeowners understand their Community Solar Garden potential. 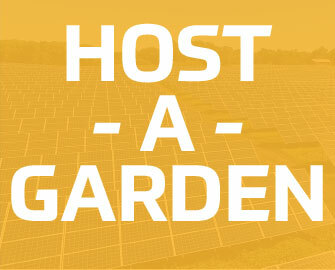 While your land may not be profitable now, you may be an excellent candidate to host a solar garden. We’ve helped develop, finance, and install more solar projects in the state than any other developer. You can subscribe to a portion of solar production by participating in your local utility’s community solar program. Your subscription allows you to benefit from solar installations located on nearby properties. Each month garden members earn bill credits proportionate to their subscription share, for 25 years. Schools find that going solar helps them save money on utility bills, create educational opportunities, and reduce their carbon footprint. Over 40 schools in Minnesota have worked with IPS Solar to bring the future of energy production to the next generation.